The Consumer Financial Protection Bureau has been a target of conservatives. It’s currently part of the larger war against Trump as some disgruntled staffers are reportedly using encrypted devices to communicate with one another. They’re known as “Dumbledore’s Army.” No, I’m not kidding. It all stems from the leadership battle between Office of Budget and Management Mick Mulvaney and Deputy Director Leandra English. English was set up to takeover upon the departure of former director Richard Cordray, who left to run for governor of Ohio. Yet, since this is an agency within the executive Trump was well within his authority to appoint Mulvaney as acting director. English filed a legal challenge to the appointment, but the courts finally ruled that Mulvaney is to be top dog at the agency. It should come to no one’s surprise that people were criticizing the Mulvaney regime, especially on the agency’s advisory board. Mulvaney recently decided to fire the whole board. A federal appeals court has upheld the constitutionality of the Consumer Financial Protection Bureau's structure, a decision that preserves the agency's independence in the face of challenges from business interests and conservatives. The D.C. Circuit Court of Appeals ruled 7-3 on Wednesday that a provision in the 2010 Dodd-Frank law that limits the president’s ability to remove the CFPB director during his or her five-year term does not violate the president’s authority to appoint and remove executive branch officers. The ruling was largely along ideological lines, with one George W. Bush appointee joining all the Democratic-appointed judges in upholding the consumer bureau's structure. The three dissenting judges were all Republican appointees. Judge Loretta Preska of the Southern District of New York ruled that the CFPB’s creation as an independent agency with a director that could only be dismissed for wrongdoing was unconstitutional. 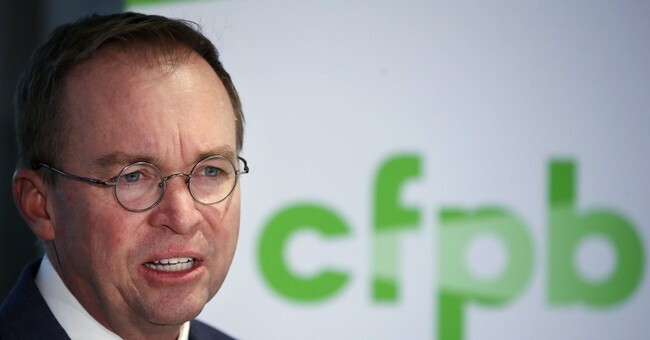 Acting CFPB Director Mick Mulvaney last month sought to protect the agency's involvement in its case against RD Legal Funding, which was initiated by his predecessor, Richard Cordray. The suit claims that RD Legal scammed both survivors of the 9/11 terrorist attacks and National Football League veterans battling the effects of severe concussions out of monetary compensation for their injuries. While the CFPB is now dismissed from the lawsuit, Preska ruled that New York Attorney General Barbara Underwood, who replaced Schneiderman in May, could pursue the case against RD Legal under Dodd-Frank. Thursday's ruling raises the likelihood that the Supreme Court will take up the issue of the CFPB’s constitutionality in an upcoming term. The Fifth Circuit Court of Appeals will also hear a challenge to the CFPB’s constitutionality, and a ruling against the bureau could force the high court to reconcile the conflicting opinions. Mulvaney is staunchly opposed to the existence of the CFPB, so--as some have noted, Christmas come early for the OMB director?